Unisex hoody with patch pocket (for boys and girls). Long sleeves with ribbed cuffs. Plaited draw strings. Available in 3 colours. Medium-weight fabric. The Berlin sweatshirt by Erreà is just perfect, for both boys and girls: whether you need it to protect you from the cold, or simply to wear in your moments of relaxation. It is made of an extremely soft material, which is warm and comfortable, and which will keep at bay the chill and give your skin a soothing feeling in the wintertime. You may wear this sweatshirt both in your free time and as part of your team uniform. 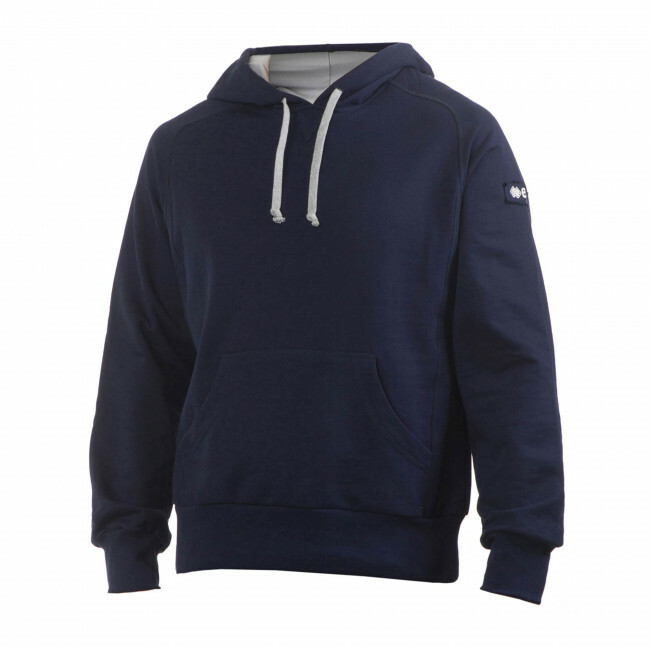 To make the sweatshirt even more comfortable, it comes with an adjustable hood with draw strings, and a kangaroo pocket on the front that will keep your hands warm when the weather gets harsh.